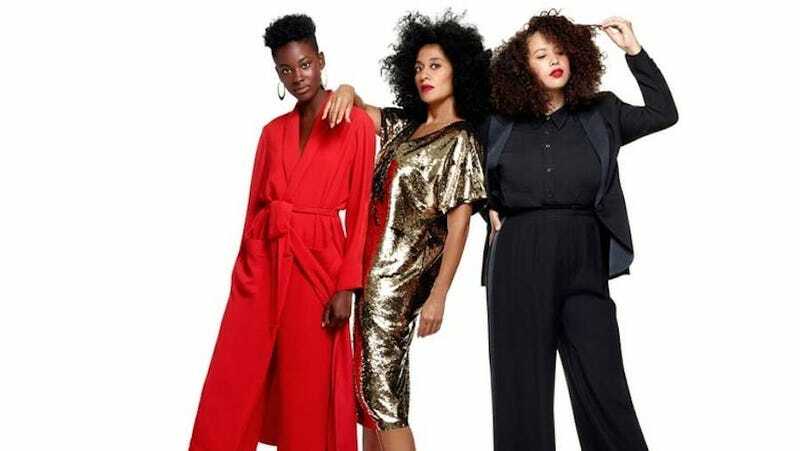 Which Outfit From Tracee Ellis Ross's New Collection Will You Wear to the Holiday Party? In the next two months, you will be forced to make the least important decision of the year, which is choosing a holiday party dress that’s equitably stylish, cool, cheap and perhaps professional. Tracee Ellis Ross launched a 45-piece J.C. Penney capsule collection that may help. A few pieces in the line have the benefit of being inexpensive (ranging from $12-$75), joyful and holiday-appropriate at once. The gold dress at the top looks particularly glamorous yet streamlined. I’ll take everything in her closet, personally, but in the meantime here are some party options. Ross says she “imagined and designed” each piece.